Along your investment journey, it’s cash flow that will keep you floating, until you have a big enough asset base to get out of the rat race. 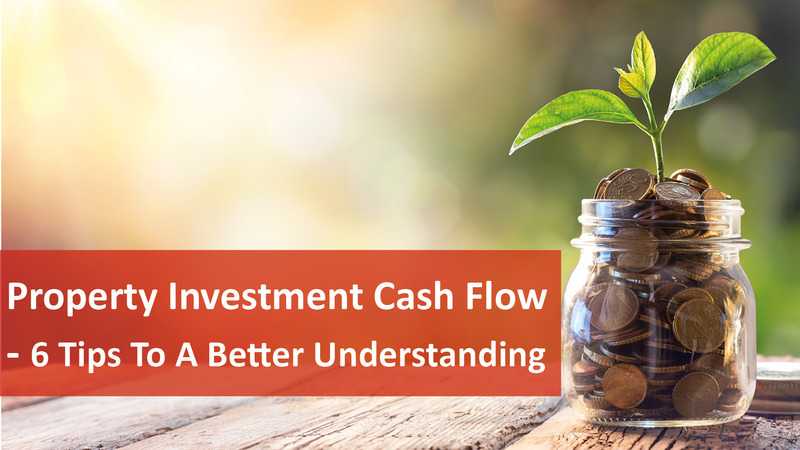 This means as a property investor, it’s vitally important to understand and maximise your net cash flow position. While most people just think of the rent coming in, here are six other areas to consider when assessing your investment cash flow. As a property investor, you can claim a variety of expenses relating to your rental property as tax deductions, improving our after tax cash flow. Your accountant should be able to outline these for you, or you can check out the list at the ATO website. As a building gets older, the items within it wear out and therefore depreciate in value. Capital works deductions are available on the structure, including items that are not easily removed, but remember this isn’t based on the purchase price of your p but on the construction cost of the building. Depreciation of plant and equipment that are deemed to have an effective life set by the ATO. To claim depreciation against your property income, it’s advisable to obtain a tax depreciation schedule from a licensed quantity surveyor. But the good news is that even the cost of obtaining this report is tax deductible. One of your biggest cash flow expenses as a property investor will be the interest you pay on your mortgage. While rates are currently at historic lows, it’s pretty clear that sometime in the future interest rates will rise. Strategic investors will prepare for this by locking in some or all of their loans to fixed interest rates, while others will set aside a financial buffer in an offset account, or similar, to handle unexpected expenses or the extra cost of rising rates. When budgeting for your property purchase you will need to allow for all the settlement costs of purchasing your property – not just the price of your property. These should include things like stamp duty, legal costs, loan costs, valuation fees, repairs or improvements, insurance and the initial vacancy period and agent’s letting fees. If you’ve underestimated your needs these extra borrowings will impact your planned cash flow and could require further input from your personal finances. Investors must understand that their property will not be occupied hundred percent of the time. When your property does become vacant, apart from the period when you don’t receive rent you will also have to pay your property manager for re-letting the property. Another slight dent in your cash flow will be expense of professional property management. In my mind this is a small price to pay for peace of mind of protecting your asset. While the fees will vary from manager to manager, don’t choose your property manager based on the cheapest rate, because in general you get what you pay for. Instead, do some research, check on testimonials and don’t skimp on quality service in exchange for saving a few dollars.